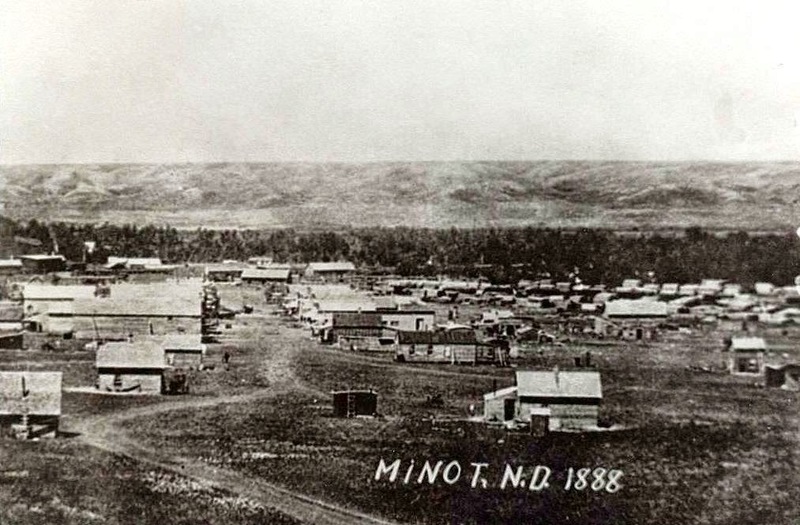 1887 – Minot had only one street – Main Street, which at times was a muddy mess. Since it was a railroad boom town many new businesses sprang into existence in its first year. 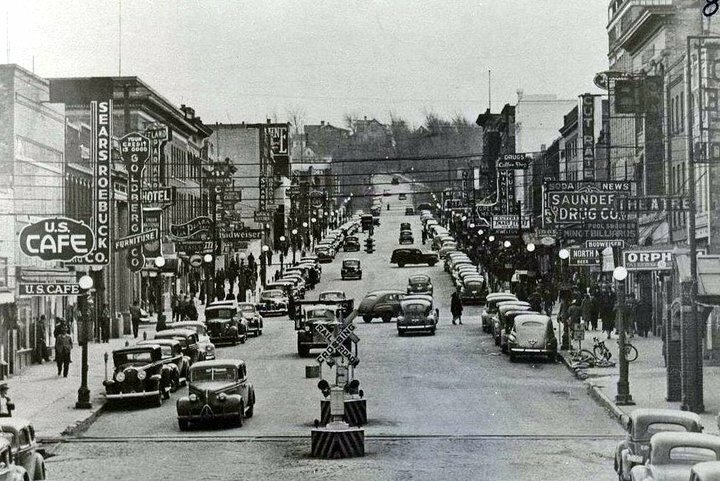 These included The Leland House, the Parker House, Collins Implement, John McJannet’s furniture store, Lincolns restaurant and Carl Aurlands Grocery Store. Other business established were Strain Brothers Mercantile, The bank of E Ashley Mears, John H Seiber’s Harness Shop and McClure’s Minot Rustler-Tribune. East of Main street on what is now Central Ave was the Charlebois Blacksmith Shop. The home and office of Minot’s first physician, about where Central Campus is belonged to Dr. Edmund Belyea… who also had a street named after him at one time.